USB Power Delivery is the future of charging as well as wireless, so why not buy the best accessories related to them at a discount? Dodocool has you covered today! In its portfolio, Dodocool sells a wonderful 20100mAh power bank which supports USB Power Delivery with a total output of 45W. That’s fast enough to charge your notebook if it has a USB-C port and you can even juice up your phone or tablet while you’re at it. Basically, there’s nothing that can slow this bad boy down. It can be yours for a price of just $40.25, down from $65.99 if you apply the code SYPEY2QW at checkout. 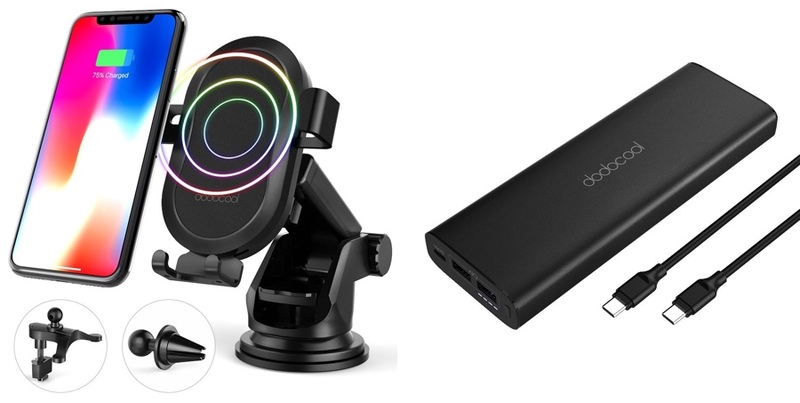 If you are all about the wireless charging life, even in your car, then Dodocool’s wireless charging car mount is something that should pique your interest. It has a robust design, a great locking mechanism, and has a lot of safeties in place. You can grab this for just $18.89, down from $26.99 if you apply the code NXOTENYN at checkout. Both the deals above will end on the 10th of June. You have plenty of time to make your decision, but I suggest doing everything quick because such deals don’t arrive that often.